Enable employees to remotely complete tasks, and monitor and maintain their information, in one place via intuitive, actionable dashboards. 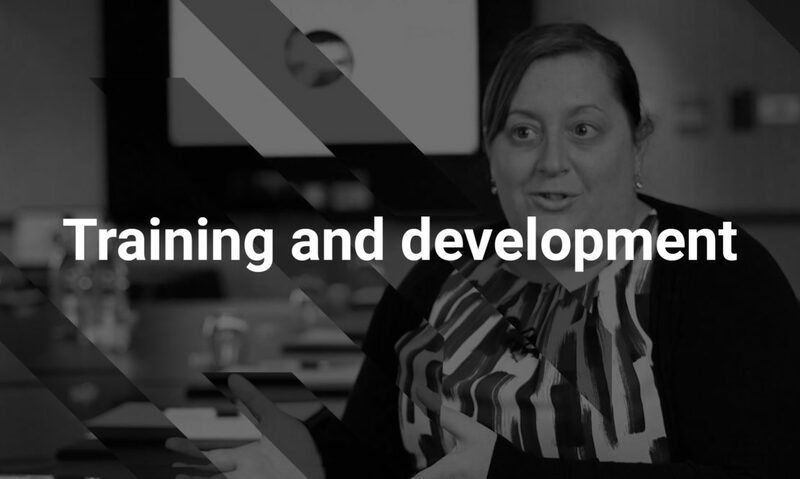 Connects data from multiple FireWatch areas – including contact details, training & development, availability, holiday entitlement, leave request submission and payments. 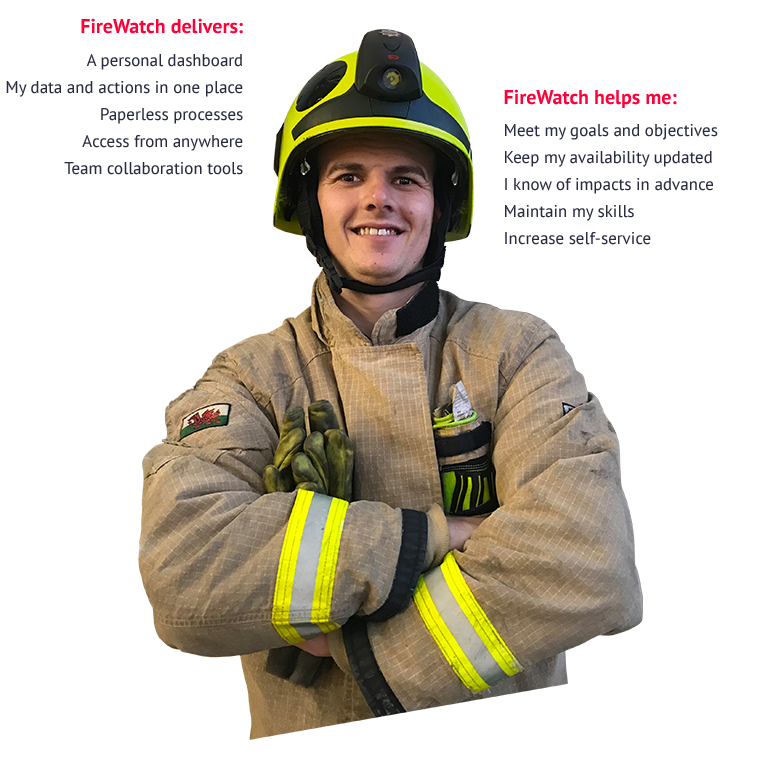 FireWatch sends me shift requests, lets me book on and off duty, provides access to my personal data, enables me to submit leave for approval, and view qualification and training course details – all from home or on-the-move. 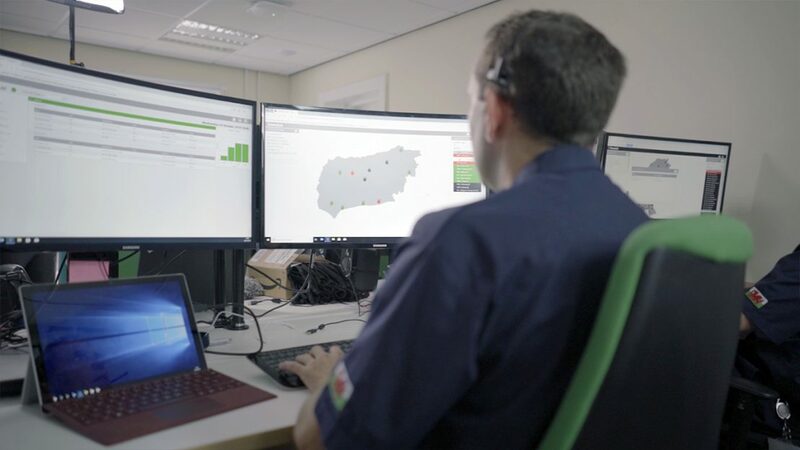 Our availability service enables firefighters to directly book on and off duty, and change availability status via SMS, FireWatch mobile, web clients and other channels – with an alert function to notify managers of potential crewing impacts. 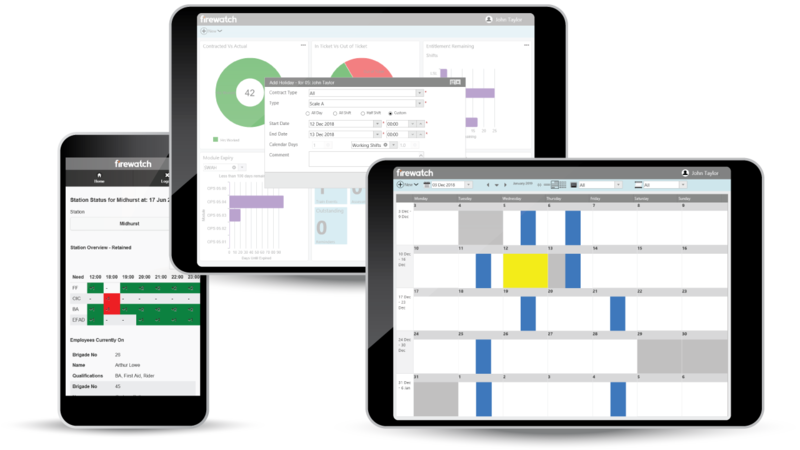 Mobile and web client options provide personal and team performance dashboards, shift marketplace tools to fill resource gaps, and other data and tasks. Group or area managers can see at-a-glance cumulative geographical views of current and future availability via map-based crewing analysis. Firefighters used to have to come into the station to actually strike their name through on a piece of paper to book off or on. 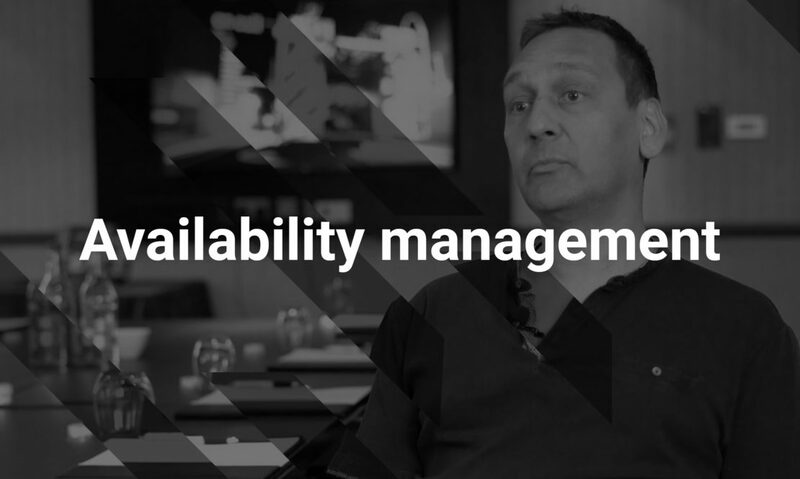 Whereas with retained availability, it's given them much more flexibility, so remotely they can just very easily book on or off.